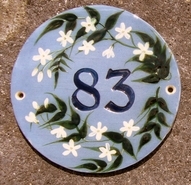 They cost £33 plus £5.95 p&p anywhere in the UK. 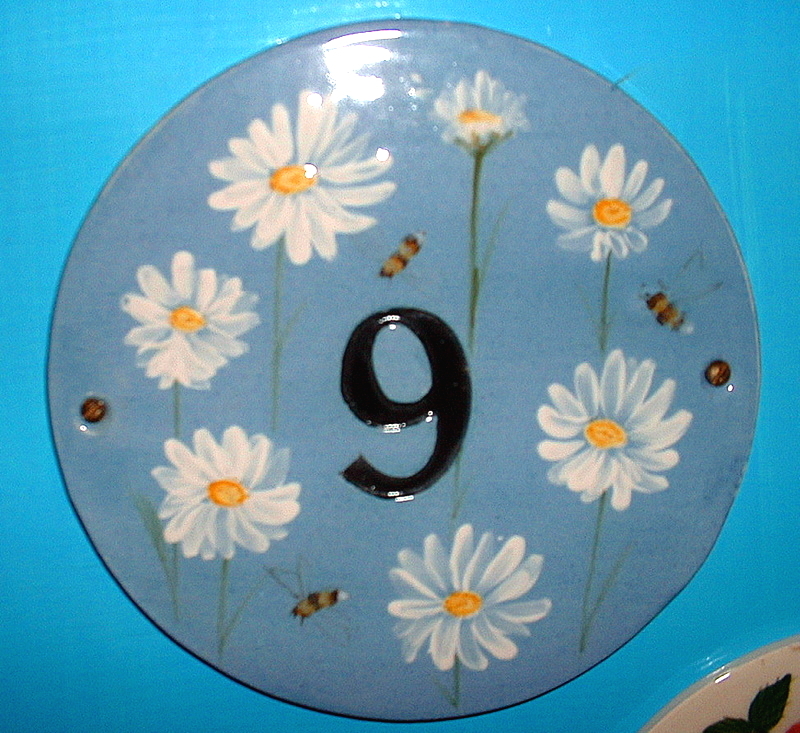 (Please ask about postage elsewhere). 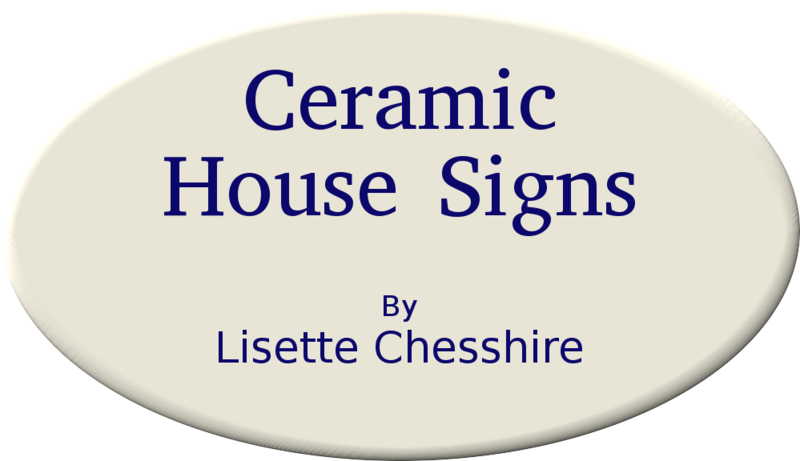 Please give a brief description of the design you require or choose from the examples shown here. 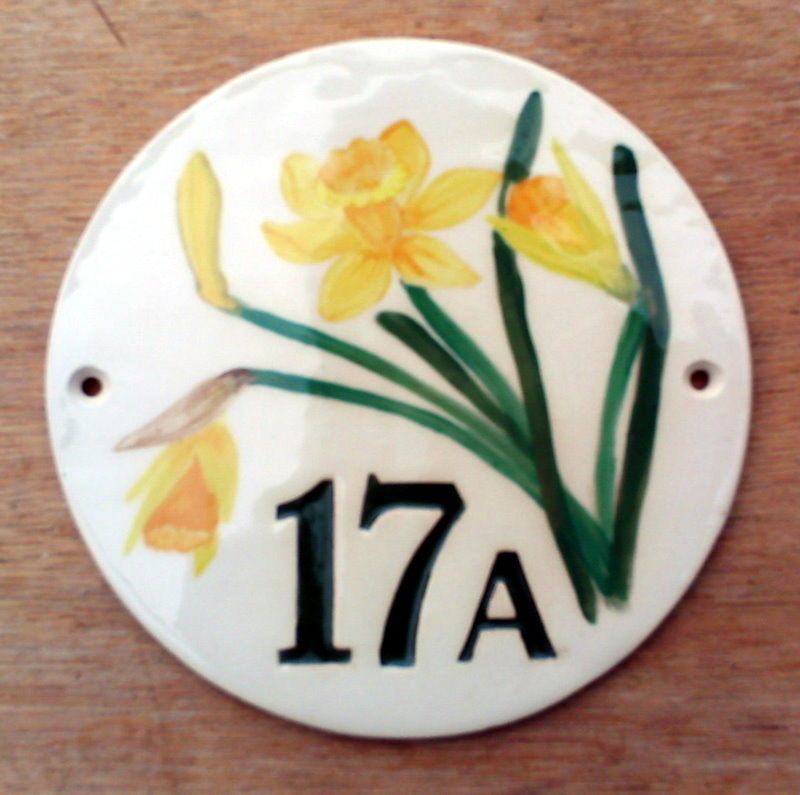 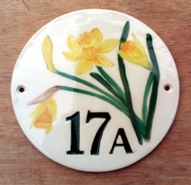 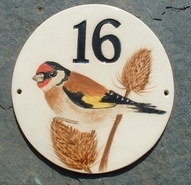 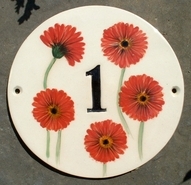 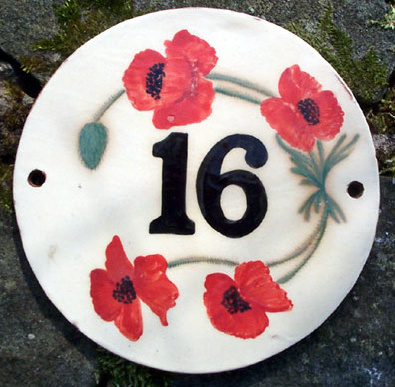 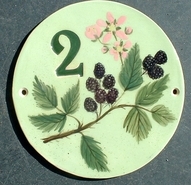 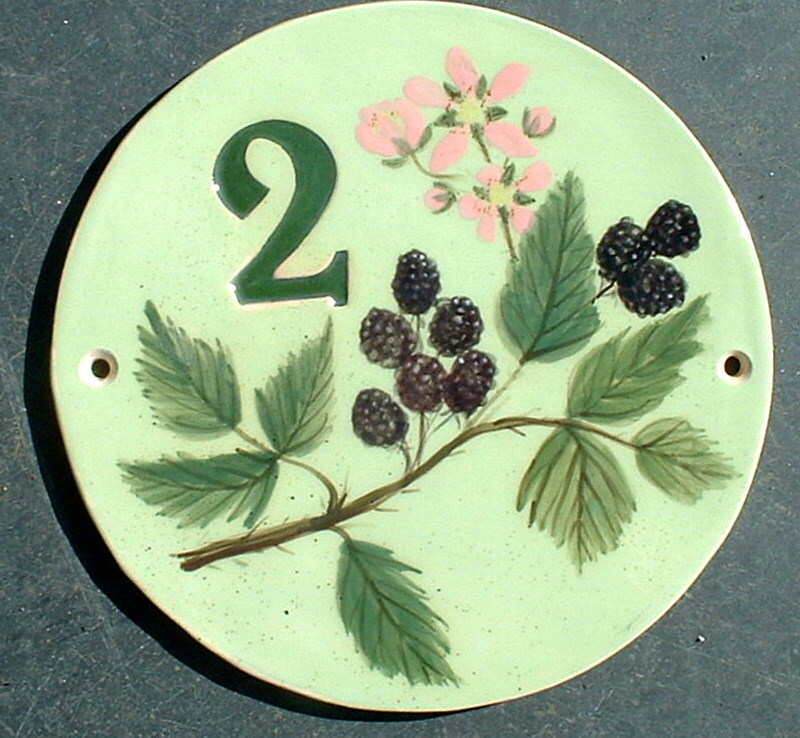 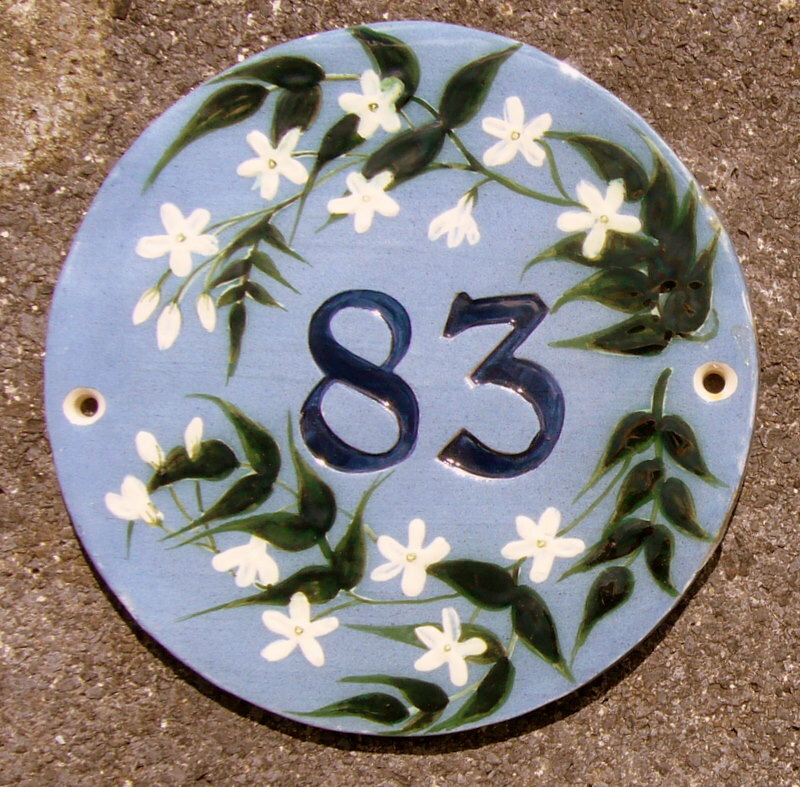 Please allow 4-6 weeks for delivery of your ceramic house number. 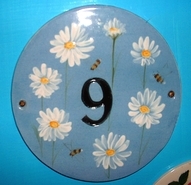 If you need it for a special date I will try my best.